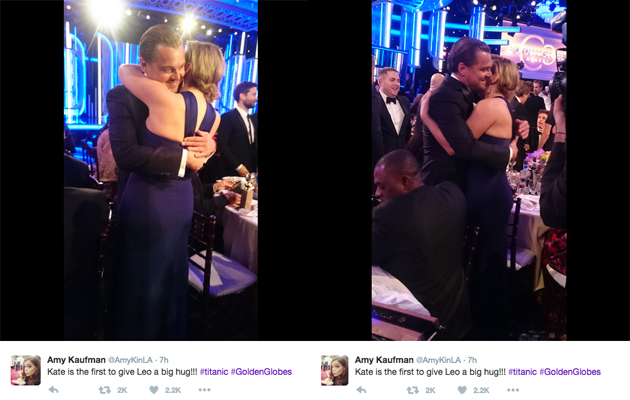 Recently at the Golden Globes, old friends Leonardo DiCaprio and Kate Winslet were reunited on the red carpet, and then were the first to congratulate each other on their big wins over the course of the evening – with Kate jumping up to give pal Leo a huge hug after he won the award for ‘Best Actor’. The firm friends first met on the set of one of our favourite films, Titanic, which came out over 18 years ago now – can you believe it?! 1. 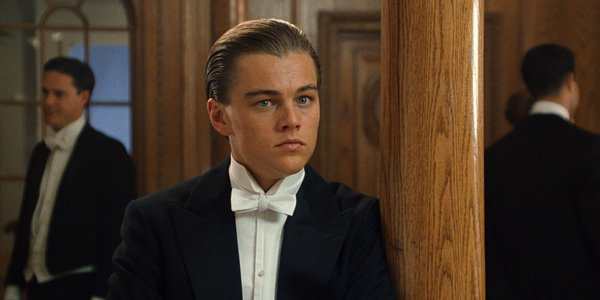 Despite being one of his most famous roles ever nowadays, Leonardo DiCaprio almost didn’t win the role of ‘Jack’ in the film Titanic. Actor Matthew McConaughey was almost selected instead! 3. Did you know that Kate Winslet almost quit the film Titanic during filming? She was one of the only actors to refuse to wear a wetsuit underneath her costume for the water scenes after the Titanic had sunk, but she got pneumonia as a result! She wanted to quit after that, but the director James Cameron convinced her to stay. 4. 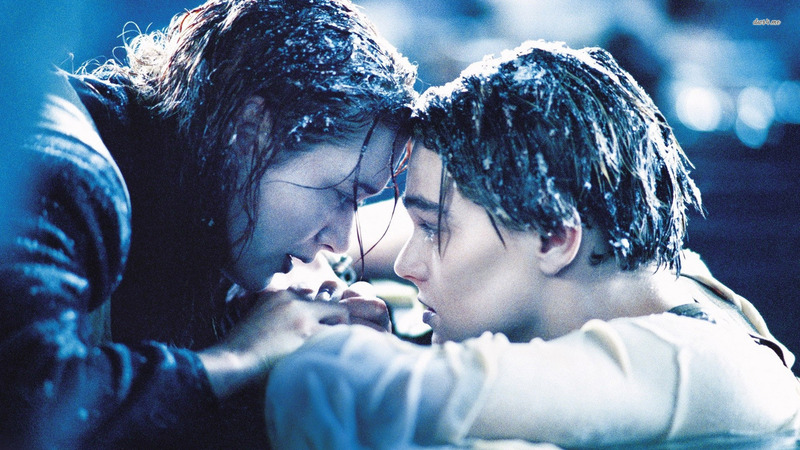 In the scene where Jack is going to draw Rose, he asks her to, “Lie on that bed, uh, I mean couch.” In the script, the line was meant to be, “Lie on that couch”, but after Leo made the mistake, the director liked it so much he kept it in the final cut! 5. Kate Winslet was the one who suggested Rose spit in Cal’s face rather than jab him with a hairpin as scripted. The director thought it was a great idea, but didn’t tell actor Billy Zane (Cal) about it – so his reaction in the movie is real! 6. 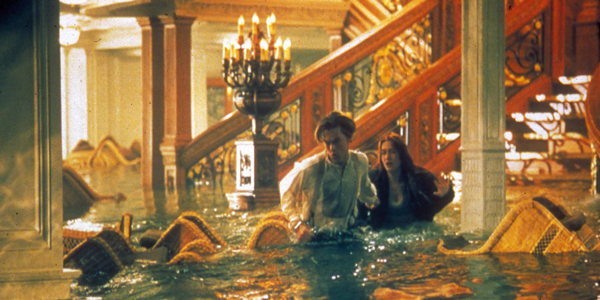 In the scene where the water comes cascading into the hall with the Grand Staircase, the crew only had one chance to catch it because the entire set and furnishings were going to be destroyed in the shot! 7. 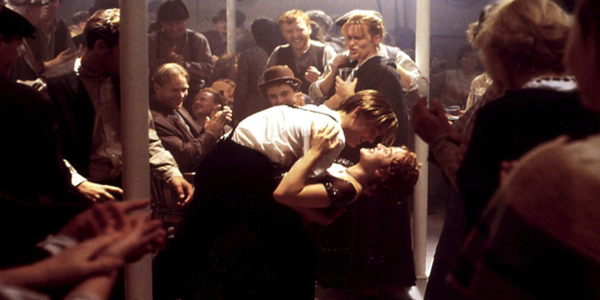 Both Kate Winslet and Leonardo DiCaprio learned how to dance the polka for the scenes set at the party in the third-class compartments. 8. Kate Winslet and Leonardo DiCaprio improvised nearly all of the ‘spitting scene’. 8. As well as nearly having Matthew McConaughey playing ‘Jack’, we might have had a different actress playing Rose as well! 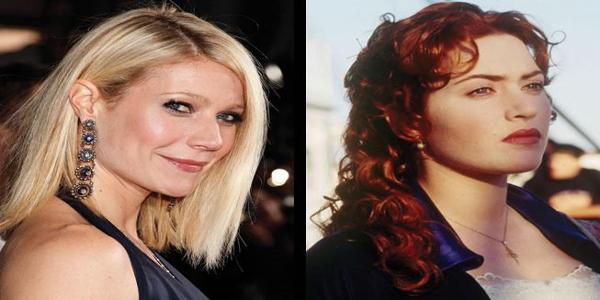 Gwyneth Paltrow audition for the role, but lost out to Kate Winslet! 11. 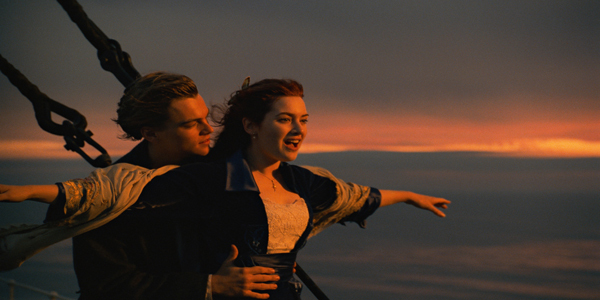 One of the most iconic moments in the film, the scene where Rose and Jack stand at the bow of the ship with their arms outstretch, was filmed during a real sunset and not faked using CGI. Lovely! 12. In the final scenes of the film, the elderly Rose owns a Pomeranian dog. 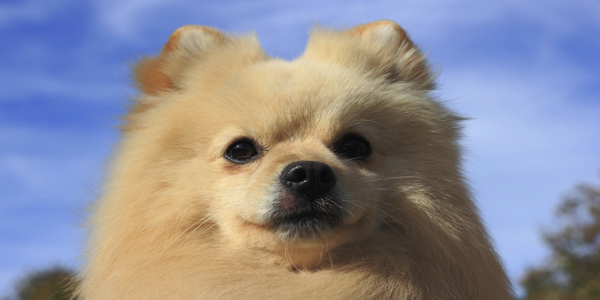 After the real life sinking of the Titanic, a Pomeranian was one of only three dogs known to have survived the terrible event. 13. On Jimmy Kimmel Live recently, Kate admitted that Rose perhaps could have been a little bit more accommodating with that infamous floating door at the end of the movie… When asked by host Jimmy Kimmel why she let her boyfriend drown, she replied “I agree,” she said. “I think he could have actually fit on that bit of door.” WE KNEW IT!